This aged tin star light fixture with colored marbles is a perfect way to add visual interest to your southwest, rustic, or Spanish colonial decor. 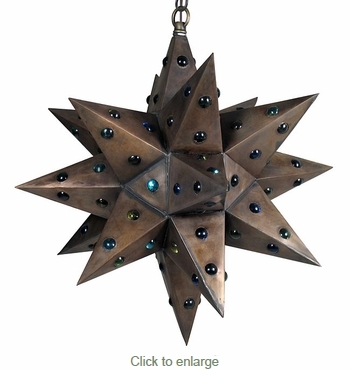 These punched tin star lights are all handcrafted by talented Mexican metal craft artists. Add warmth and color to your own indoor or outdoor space, or give a decorative star lamp as a gift.